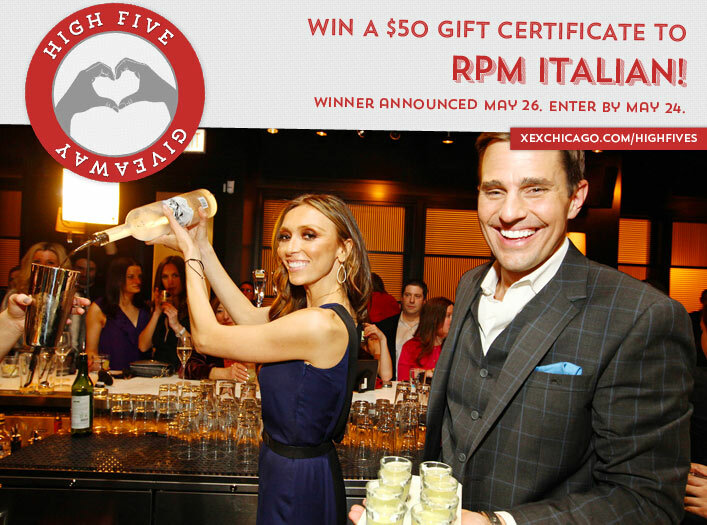 Win a $50 Gift Certificate to RPM Italian! Congratulations to Ashli Hessel on winning our 124th High Five Giveaway! Thanks to all who entered. What type of comb should you use after you air dry your hair to detangle it? Now, just add a comment to this post with the right answer to be eligible to win! The winner will be announced on Tuesday, May 26. Enter by midnight on Sunday, May 24! A wide tooth comb!!! I <3 XEX! !